How often do you reach into your cupboard scanning for a spice, a salad dressing, or a roaming can of tomato sauce? Molly and I have pulled together a list to keep your pantry stocked so you can quickly whip up a vinaigrette, make a quick pasta or finish a meal without running to the store for forgotten ingredients. With a pantry full of these basics, you’ll be ready to cook at a moment’s notice. peeled garlic– I used to be opposed to pre-peeled garlic, but once I started cooking for large groups of people, I realized this is a huge timesaver in the kitchen. Grab a few cloves out of the fridge, pop them in a garlic press and press them straight into a pan with olive oil on the stovetop. It’s a great beginning to most dishes. chicken stock– I would prefer to always use homemade, but when I don’t have time to make a batch, boxed stock does the trick. red, white, champagne and rice vinegars– great for dressing salads or adding a little zing to a roast, braise or vegetable dish. olive oil- depends on your individual taste, but I like an olive oil that’s bright green and a bit spicy. unsalted butter– so you can control the salt in your dishes. lemons – I would always choose meyer lemons for their sweet fruity flavor over a regular lemon. If you’re in the mood for something lemony and special, they’re worth the slight splurge. Keep in your fridge for a longer shelf life. potatoes– I like keeping a bag of baby red russets on hand. They’re easy to boil up and toss with butter, add to a vegetable roast, or thicken up a stew. Keep them in a cool dark place. onions– I use onions in most everything, sauteed, braised, caramelized, pickled, it’s handy to have a few yellow or white and a red onion or two on hand. tuna– the tuna packed in olive oil in a jar is a luxury to have on hand. It is more expensive than the common tinned tuna but the taste is noticeably yummier. It’s great for a Nicoise salad, which comes together quickly for an easy dinner. Save the tinned tuna for sandwiches. spices– cumin, coriander, paprika (hot and mild), red chili flakes, cinnamon, chili powder, and garlic powder are staples. 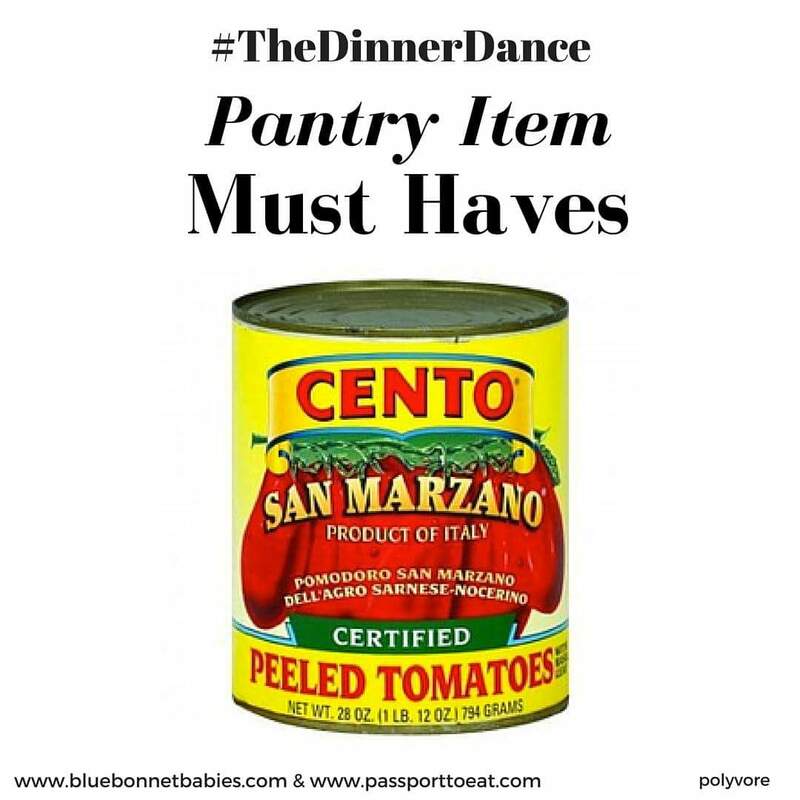 canned whole, peeled tomatoes– San Marzano tomatoes are great to have on hand for a quick tomato sauce, to help pull together a quick casserole, or to add to a braise.